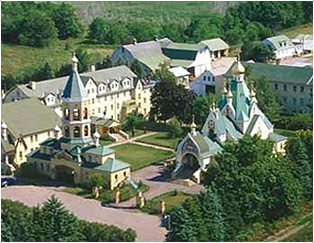 Holy Trinity Monastery is a male monastic community under the auspices of the Synod of Bishops of the Russian Orthodox Church Abroad. We are dedicated to a life of prayer and obedience according to the pre-revoluntionary monastic tradition. We draw our origins from the Pochaev Lavra of St. Job of Pochaev in Western Ukraine when monks fled from Pochaev in the face of the Bolshevik Revolution of 1917. As descendants of the Lavra of Pochaev, we continue the mission established by St. Job in the turn of the 17th century to publish books for the edification and protection of the faithful. Within the monastery is located a studio and school of Russian iconography conducted by disciples of master iconographer Fr. Cyprian (Pijoff). Also situated within the monastic community is Holy Trinity Orthodox Seminary, with young men from around the world training for the holy priesthood and ministry within our Church. 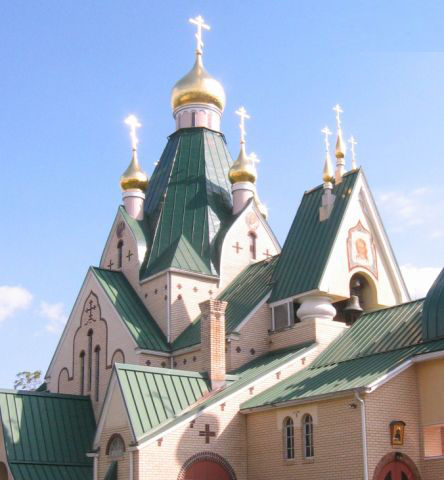 Consisting of impressive buildings and an other-worldly way of life, Holy Trinity Monastery is a source of spiritual nourishment and support for the Orthodox Church.